Image analysts can see the avalanche coming. A mountain of satellite imagery is growing faster than the rate at which they can turn data into useful pictures, such as a Google map. 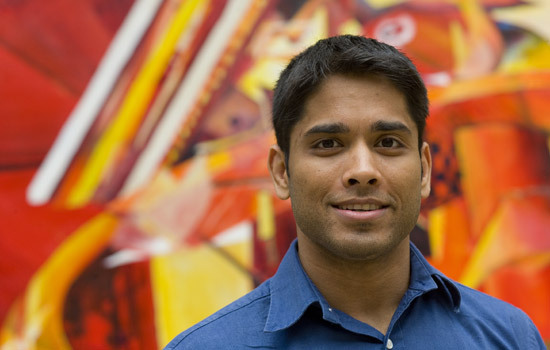 Rochester Institute of Technology graduate student Abdul Haleem Syed ’08 (B.S., electrical engineering) is working to prevent imagery overload. Syed co-authored the paper with his advisors, Eli Saber, professor of electrical engineering, and David Messinger, director of the Digital Imaging and Remote Sensing Laboratory in the Center for Imaging Science. Completely automated image analysis is Syed’s ultimate objective. Syed expects to graduate with his master’s and doctoral degrees from RIT’s Center for Imaging Science in May 2013. He looks forward to a career pursuing research in academia or industry.